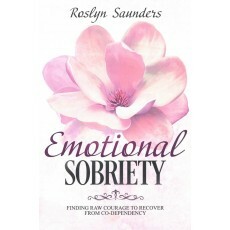 The author, Roslyn Saunders, works as a co-dependency recovery coach. Her opinion? Co-dependency is the mother of all addictions. A self-confessed and recovering co-dependent, Roslyn teaches that our addiction to people, places and things outside ourselves is the way we seek validation when we’re disconnected from ourselves. Written in language that is easy to understand, and populated with many relatable examples, Roslyn outlines the way the dis-ease of co-dependence negatively impacts our lives. Referencing her own experience as a coach, Roslyn also provides the tools and techniques that will assist anyone wanting to re-connect with themselves to create a sustainable and emotionally health life.